Have never seen a black-tail deer before. 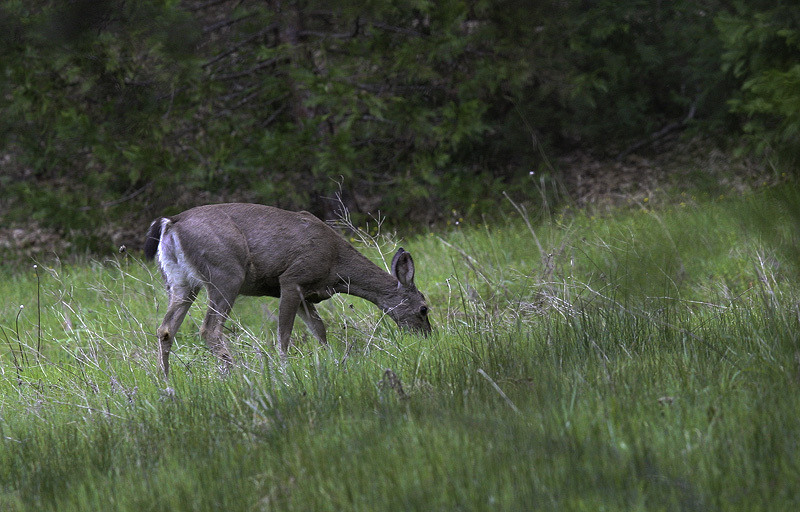 We only have white-tailed ones around here. What a beauty..and lucky-you for being able to observe them so up-close! How comforting that they manage to ignore human intrusion and continue to use their habitat. In this shot the dun of the deer hide blends perfectly with the tree trunks, leaves, and dried grasses. Beautiful shot.